If you are viewing this particular article you are probably new to AppBox, Firstly welcome, we hope you enjoy it. 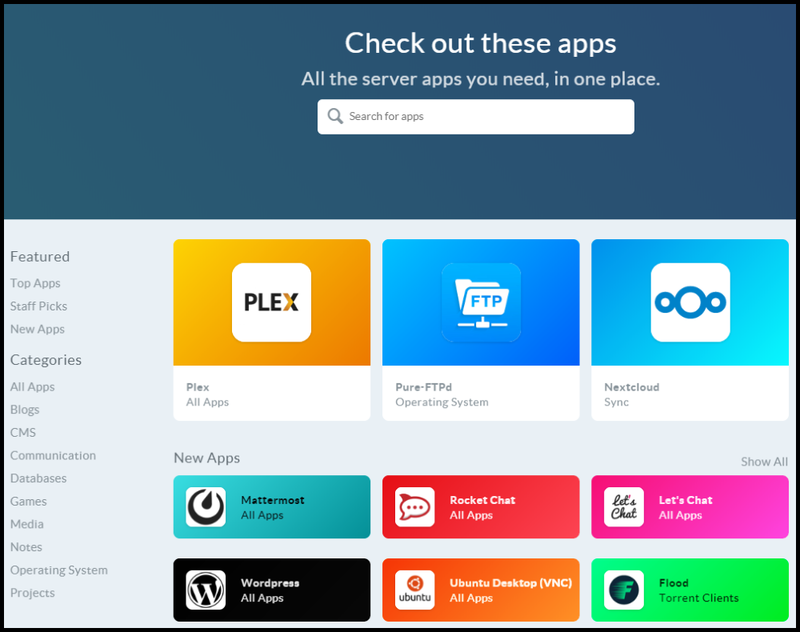 Apps are central to how AppBox works, from FTP to Torrent Clients and OS images, everything is an App. 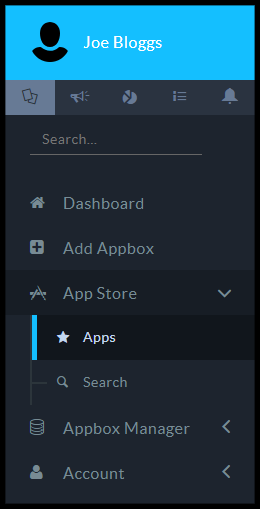 Here you can Search for an App, Filter into categories or view the featured apps. Once you have found the application you want, click the icon to load the App specific page. 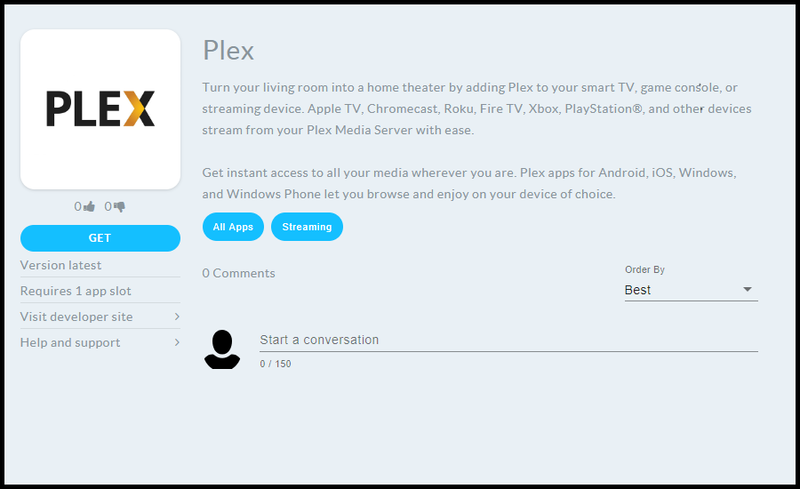 The Example we are going to look at is Plex. Once the page is loaded Click "Get" to install, you will be prompted with a configuration window (refer to specific apps for installation and configuration support).